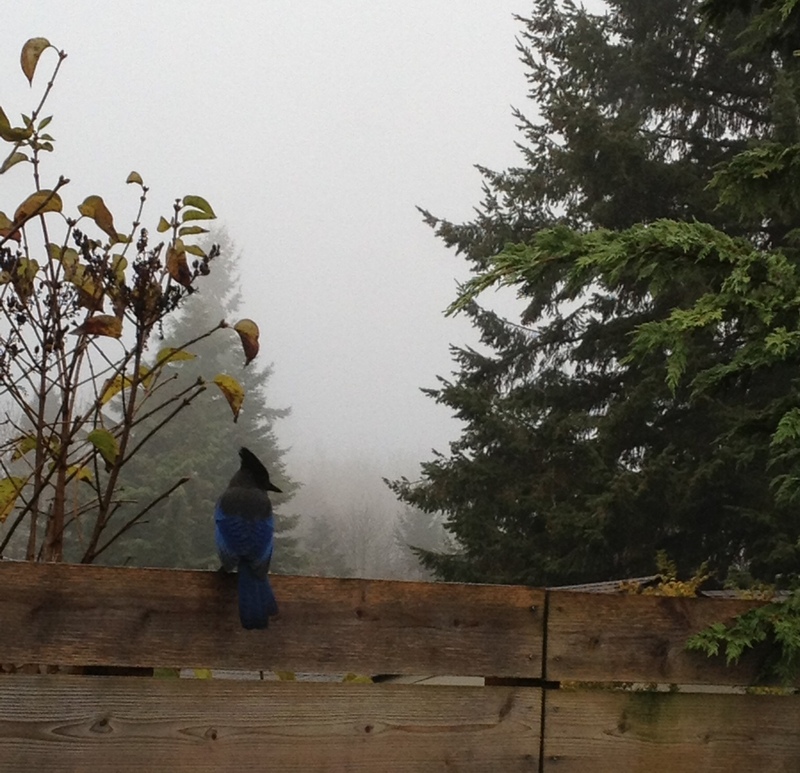 Sometimes I feel like this morning’s Steller’s Jay: captain of my day. 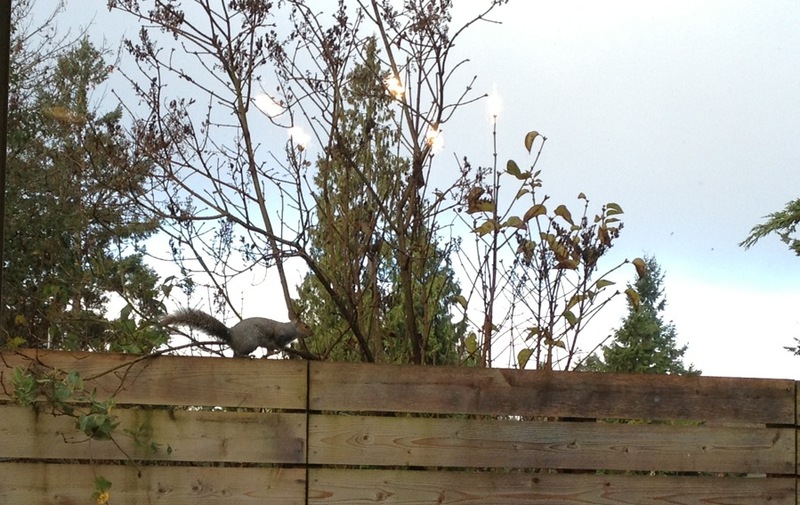 Sometimes more like the squirrel: hurry, hurry, so much to be done! But I love the mist. Love autumn. I just want to wander about in it. But there’s work to do–thrilling work. So that’s my day, followed by dinner out with friends.